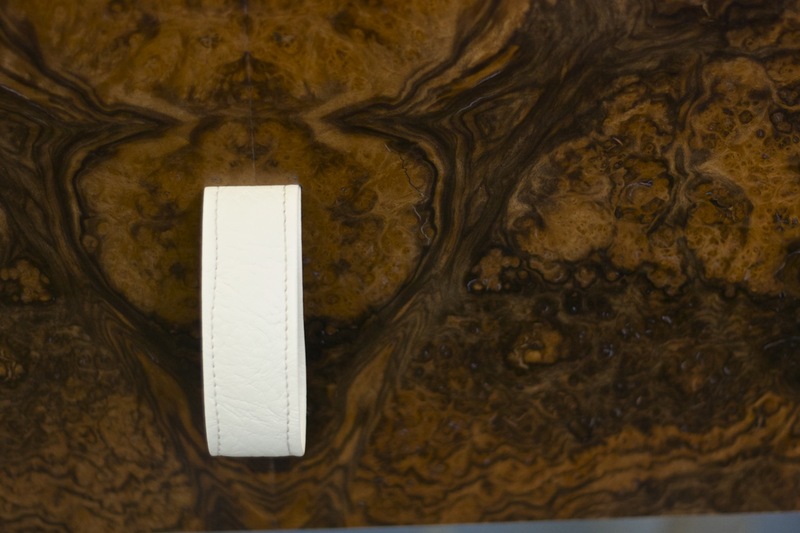 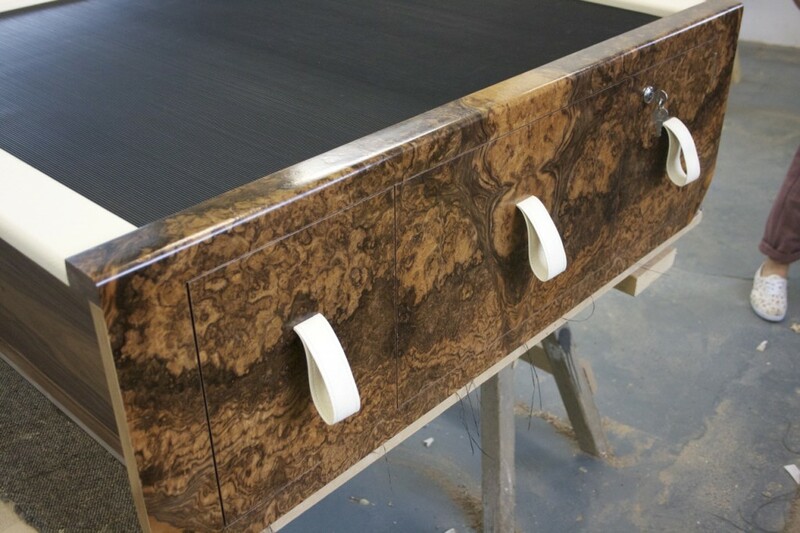 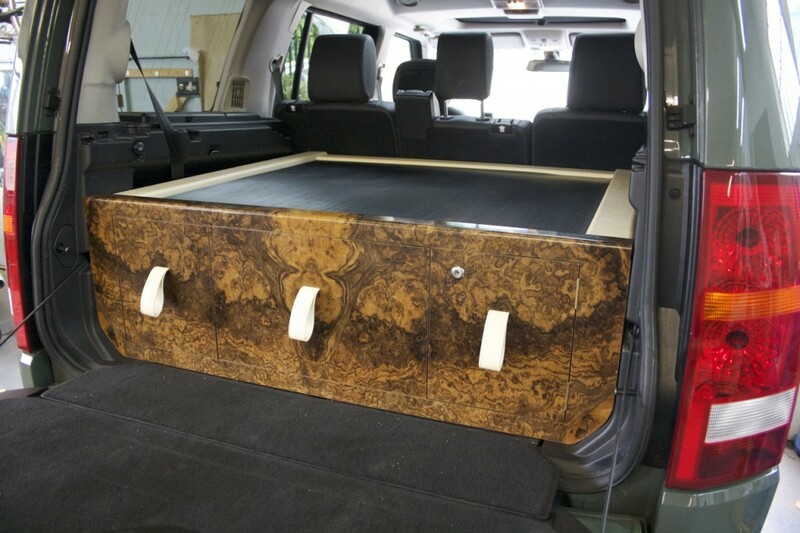 This Burr Walnut boot chest consists of two drawers plus one lockable door to slide your guns into. 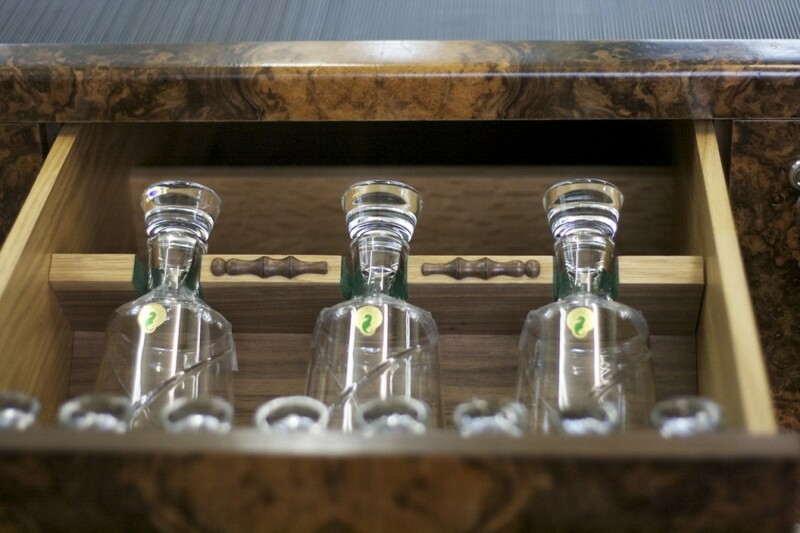 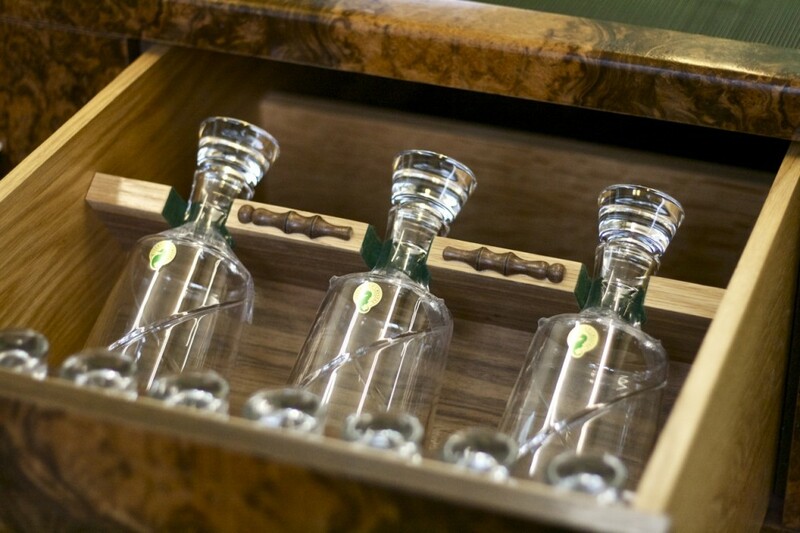 The middle drawer holds three large decanters along with 10 shot glasses with enough space behind for cartridges, jumpers a hot flask and more. 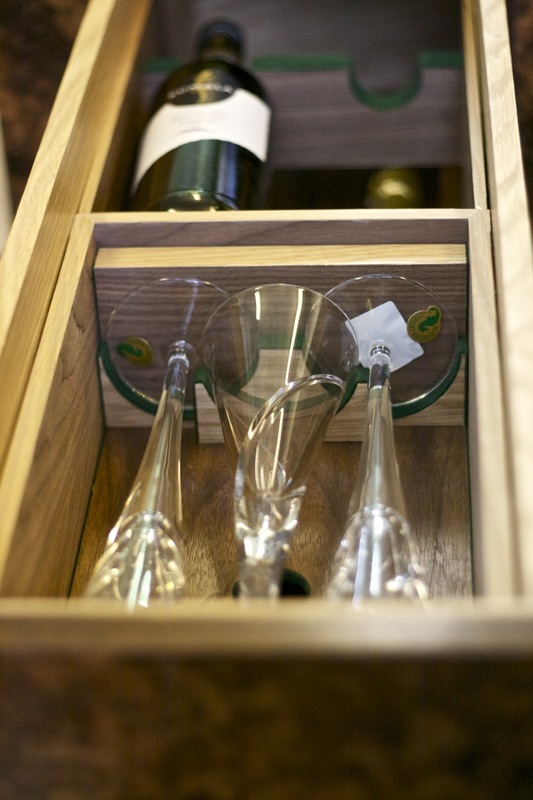 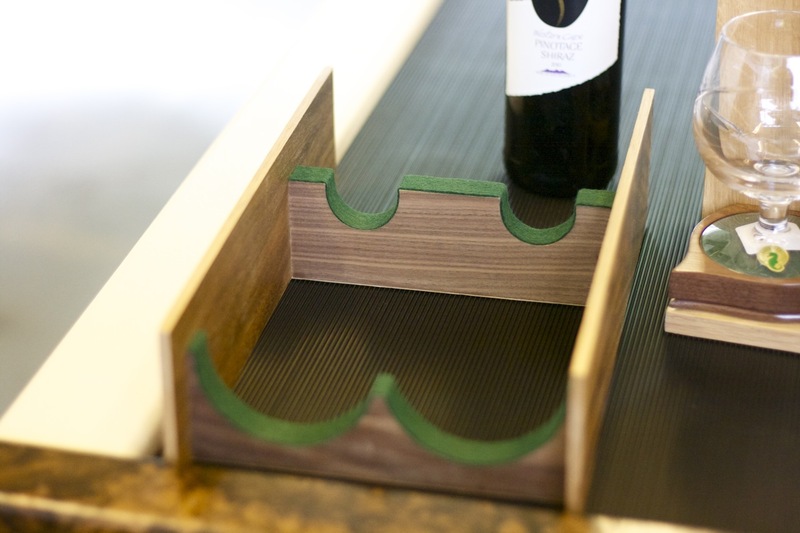 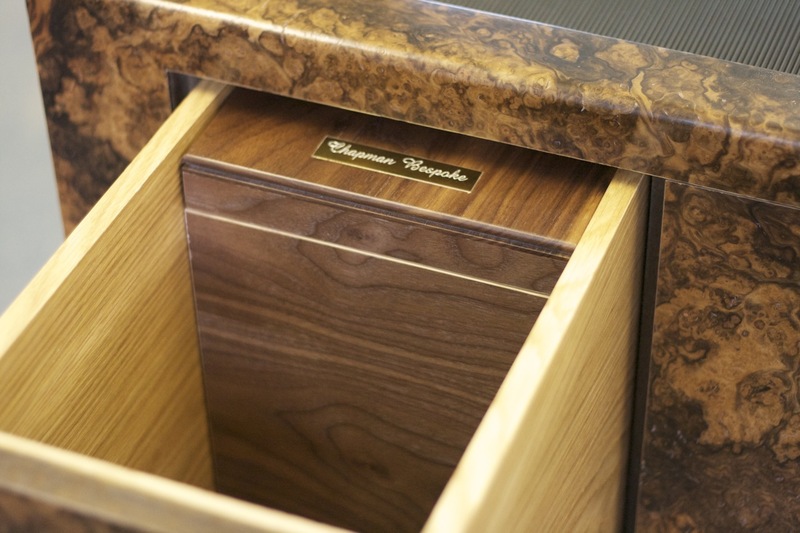 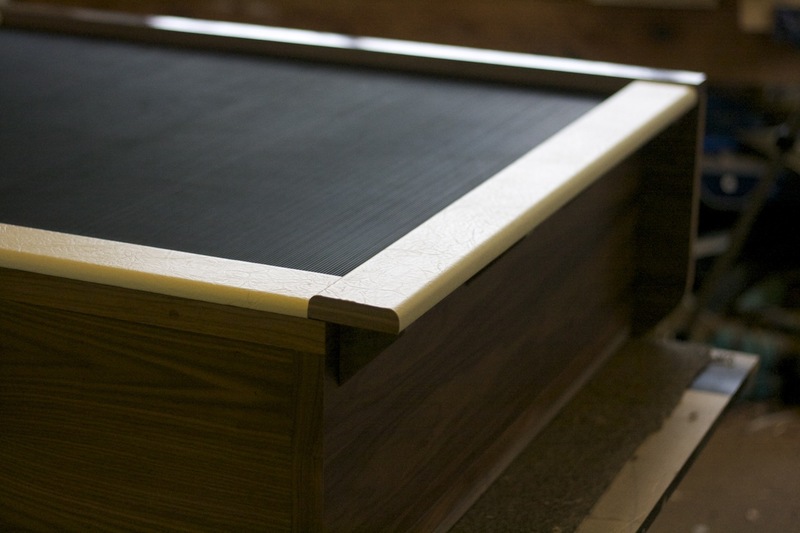 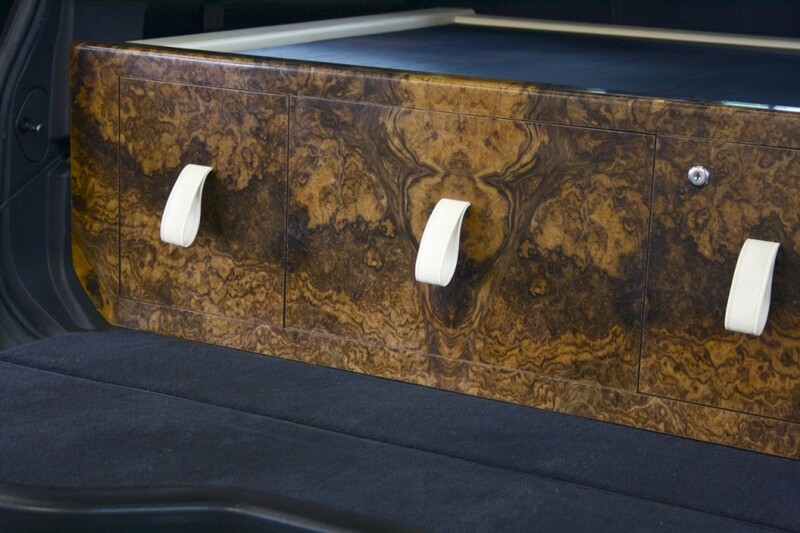 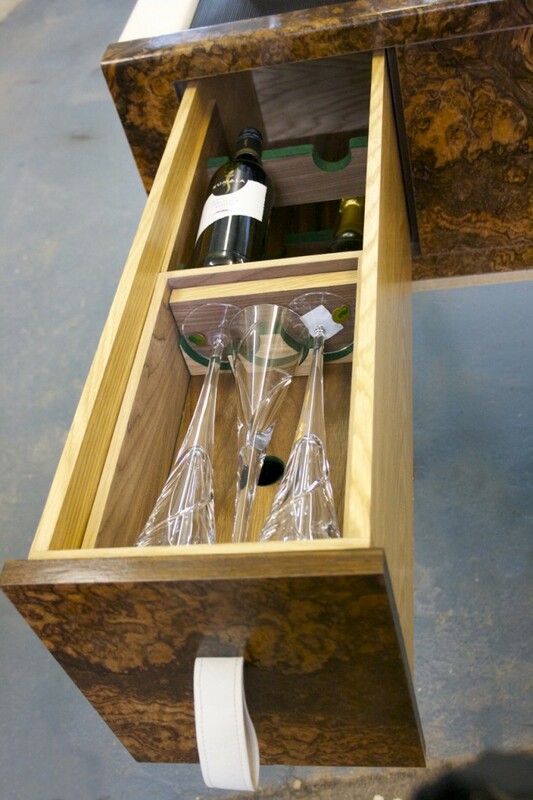 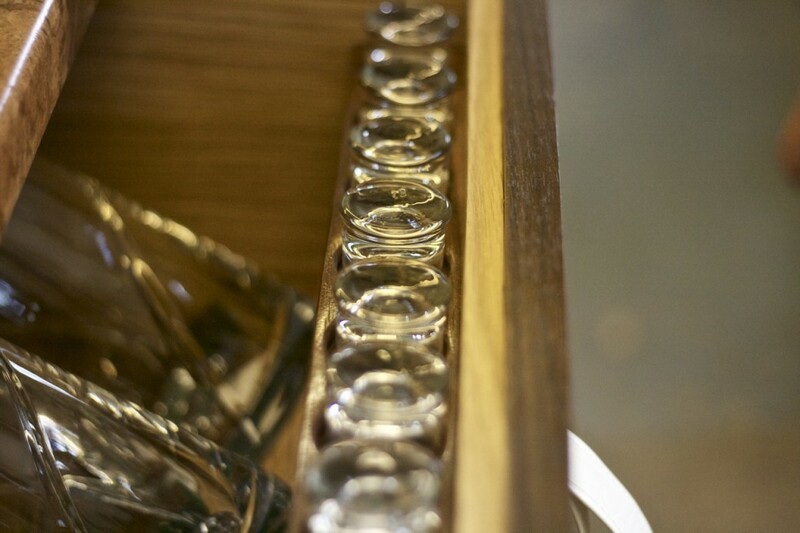 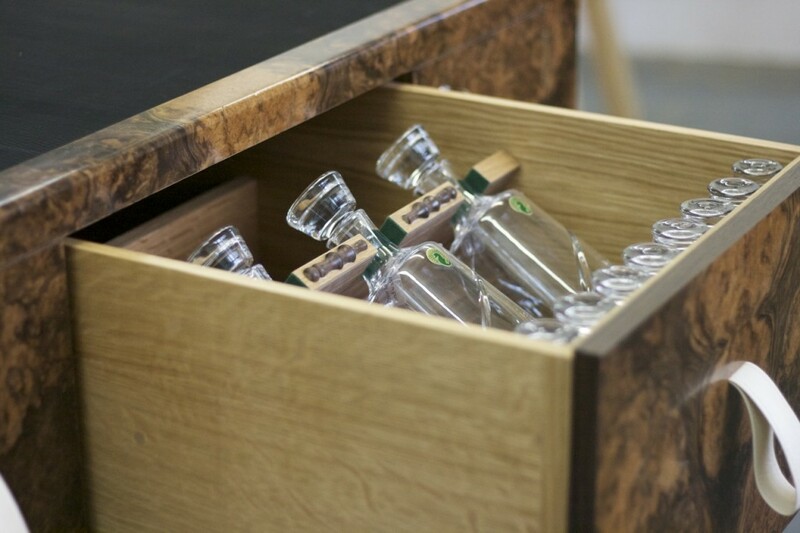 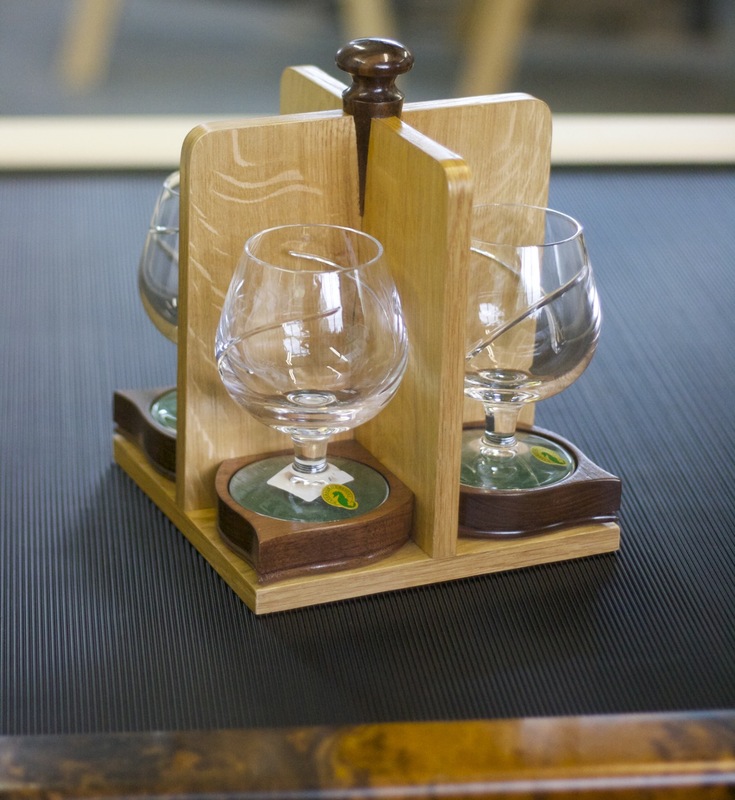 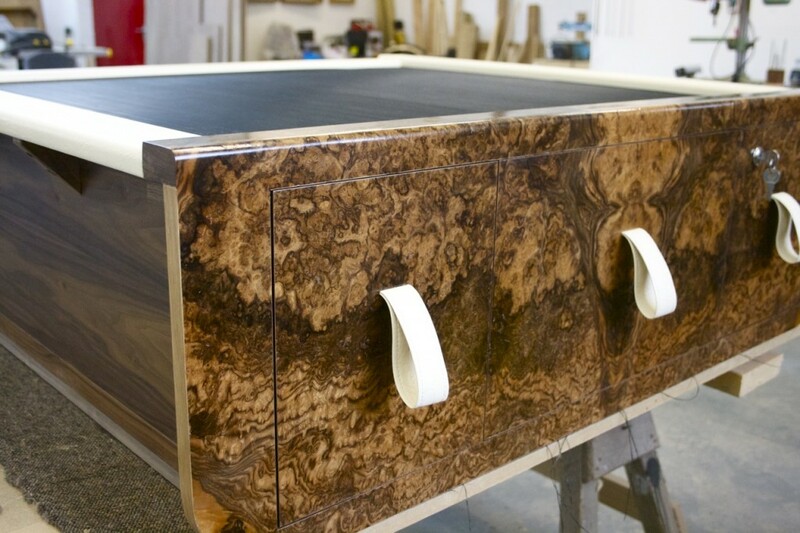 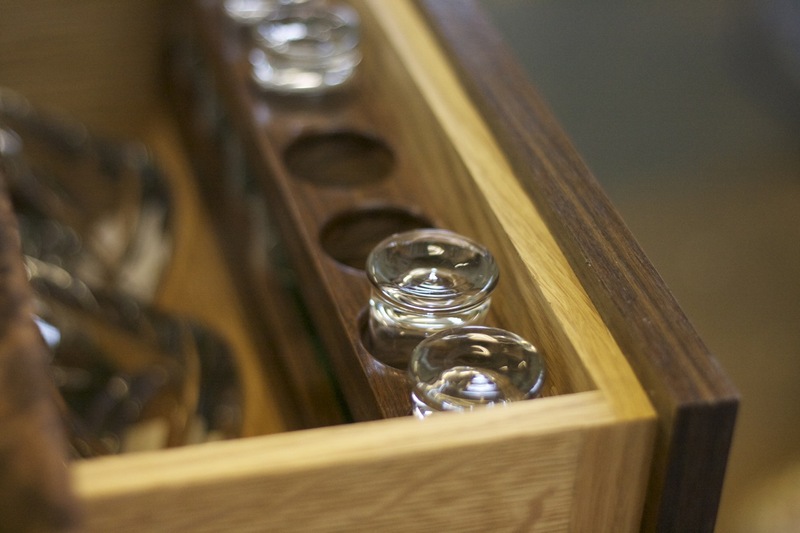 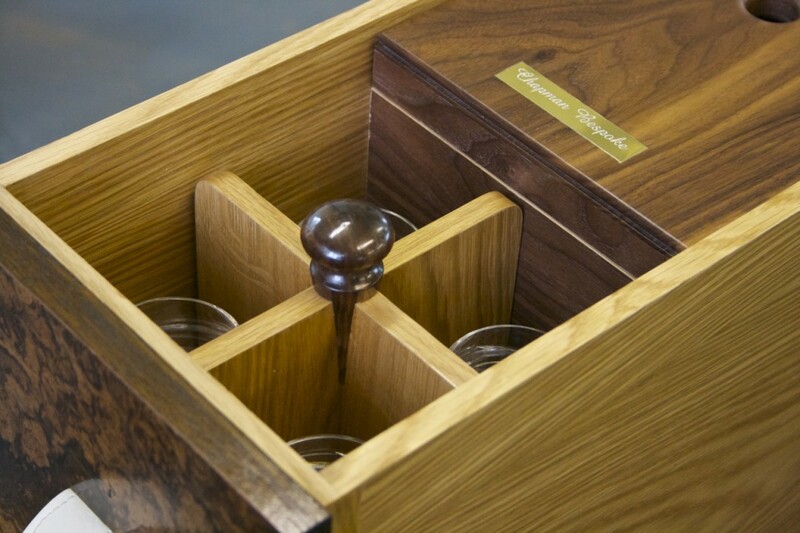 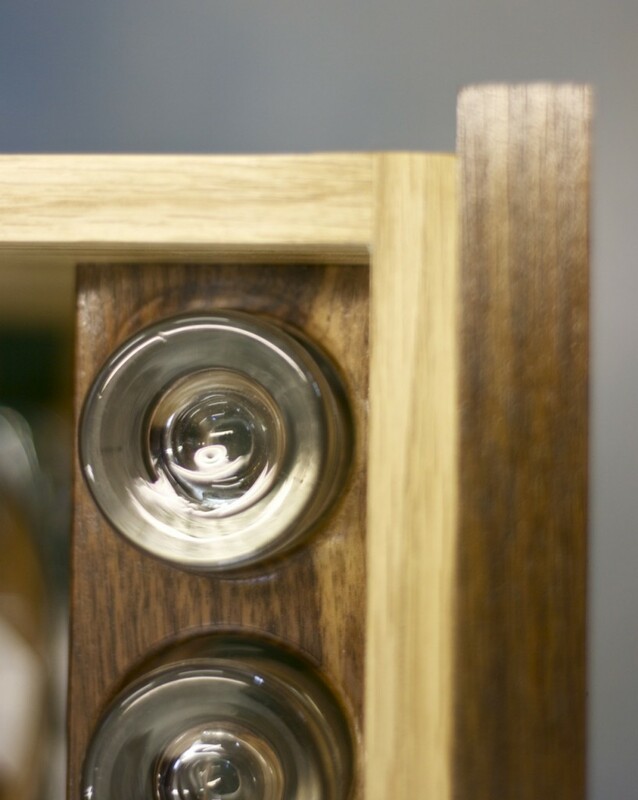 The left hand drawer holds four Brandy glasses which once pulled out will give space to pull forward a box of Champagne glasses followed by enough for four bottles of your favourite tipple. 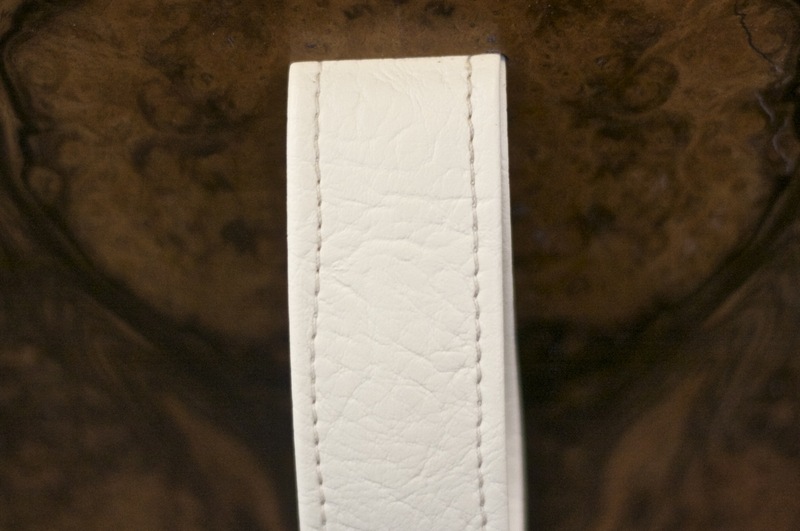 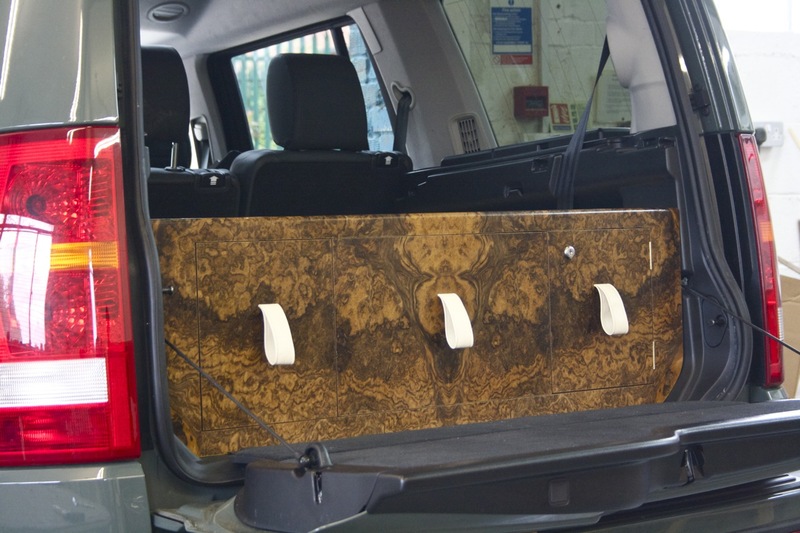 The finish and over all look of this piece is fantastic, its snug fit gives no movement on the road yet it can be removed with relative ease if you want your boot space back for the summer.